Technology is adapting so quickly in recent years, we are seeing new creations for everything on a daily basis. And Penclic is the newest technological brand to grace us. So you might be wondering what the hell is Penclic? Well essentially it's a pen and a mouse combined! MINDBLOWN! To give you some background information Sincerely Shug was asked to review this new age tech gadget a few weeks ago and before writing up the post- thorough intense usage was needed before giving an honest review. So let's get straight into it. 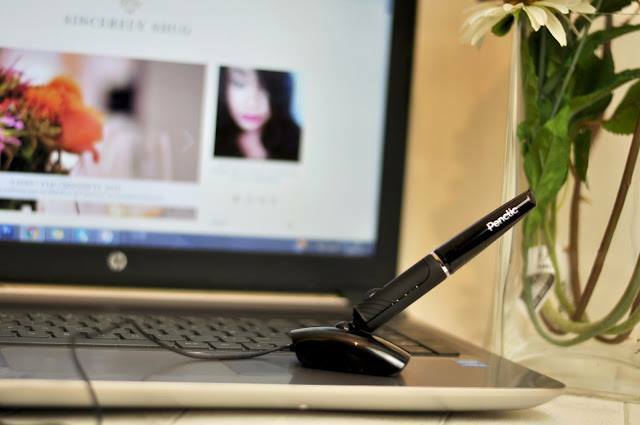 Again Penclic is a new generation hybrid pen and mouse gadget, that enables you to have a more comfortable and strain free experience when using your laptop or computer. It promotes a healthier working position that stops all the fuss and bother that you get with a generic mouse. Most of us use a computer or laptop on a daily basis, nearly most of us work, game or study using a computer. It is common practice to experience cramp or discomfort from the monotonous position that a normal mouse causes. Penclic is simple to use, literally just like your normal mouse. 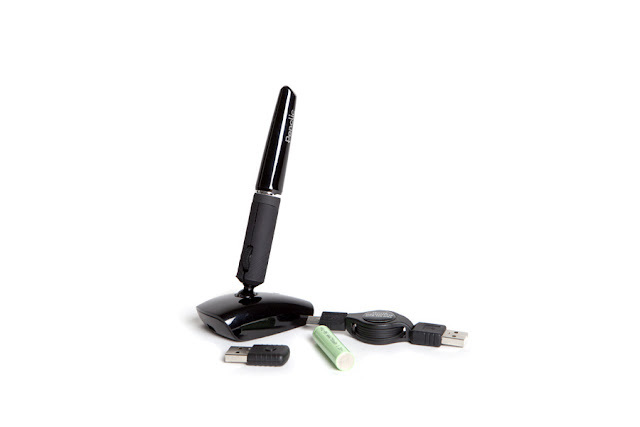 Pop the USB into your computer or laptop and hey presto it follows your every command just like the control and dictation you get from using an ordinary pen. Underneath the base of the mouse, there is an additional switch which is known as a DPI switch (Dots Per Inch- the technical way of saying, this mouse is really sensitive). However it is crucial to know that you will need to use this on a flat surface to obtain maximum mobility and comfort. The Penclic 3D mouse is particularly good for those who are creative and do work in graphic design or a similar field. This small but functional gadget would be beneficial to those who frequently use a graphics tablet, potentially to ease the strain from those who suffer from arthritis or RSI (repetitive strain injury). All in all I think it is clear to see that Penclic is an obvious winner.